Backpacks are consistently considered a trendy add-on much like our set of printed glasses, pens and bags. More than ever these now act as fashion accessories whether you are on your way to school, college or work! Backpacks can make your outfit stand out. Is that not what you want your brand logo to do too? We make eye contact with bags on the daily, whether it is on the crowded bus, lining up at the ticket barriers, at the gym (check out our promotional gym bag collection) or simply as hand luggage when boarding a flight. 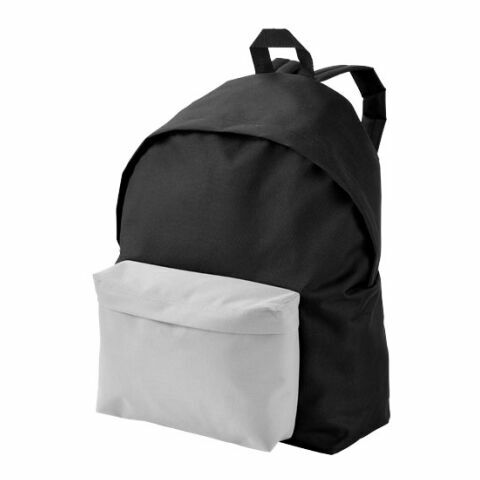 The backpack comes with a particularly noticeable advertising space to offer custom printed designs. By offering these backpacks you can look to your customers, employees and business partners to enjoy the usage of our high quality accessory as well as promote your business with ease. The target audience is enormous due to their universal use and functionality so why not combine the rucksack and its high quality brands with your company logo and ensure the accessory bags as much customer attention as possible? One of our most popular backpacks would have to be the urban backpack, known for its comfort and generous print area. Why not check our range of printed bags, fitness accessories, selfie sticks, thermal mugs, notebooks and usb-sticks? Or combine them all and create a potential gift bag for the office and make the Monday a little less grey for your valued employees! Backpacks become a necessity very early on; nursery means us bringing our own packed lunch and stationary and we desired a colourful, attractive drawstring bag or backpack to stand out. This hasn’t changed but as opposed to back in the day, today it won’t just benefit you as an individual but your entire company. Invest in these backpacks and find how advertising truly works! Effective marketing goes hand-in-hand with quality; merchandise or giveaways are an excellent non-chalant way of telling your customers that you care about quality. Purchase them today, regardless of how you mean to raise your brand reputation; be it to inspire your employees, maintain existing relationships or attract new ones; these promotional rucksacks will serve you well. Logo printed rucksacks can work particularly well at event, where attendees will have a lot of print outs and products to carry and be looking for a comfortable solution. In comes your high quality and comfortable backpack branded with your logo! Designed as a promotional tool to represent your corporation, the rucksacks are equipped with characteristics deemed necessary for everyday use: they are aesthetically pleasing and serve as an accessory for your target groups. 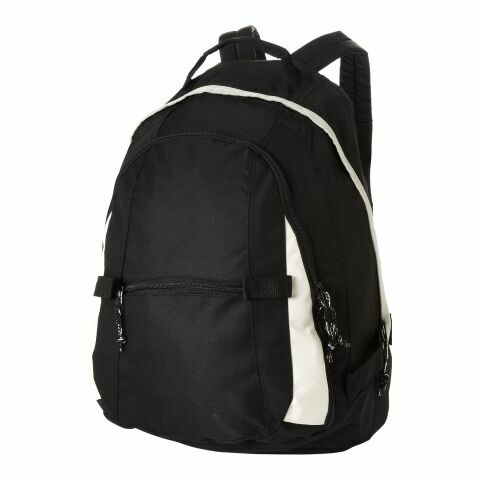 These rucksacks have high usability among customers, employees or business customers, with which the frequent use guarantees high advertising effect. So make sure your brand is always present with the stylish wearers and imprint your logo upon everyone’s minds. In addition, backpacks offer a very large advertising space as opposed to our more subtle promotional products such as keyrings, bags, pens, pencils, mugs, folders and usb-sticks. Furthermore, by wearing your branded backpack, the wearer astutely reinforces the value of the services that your company provides. With the excellent price-performance ratio of our collection you are guaranteed to get value for money, whether you want to transport your laptop, pens or just as an alternative to regular bags. As multifunctional in terms of fashion, usability as well as triggering brand awareness, you have nothing to lose. The rucksack is an ideal as a gift for customers during special occasions: whether this is Christmas or birthdays, its universal nature guarantees satisfaction. The advertising article is also suitable in the context of a sporting event, whether hosted by your company or else; these make excellent giveaway bags for your guests. Why not organise an exclusive tour for customers, employees, business partners or company management? An advertising article of this nature offers many more possibilities so feel free to be creative to achieve the maximum effect.